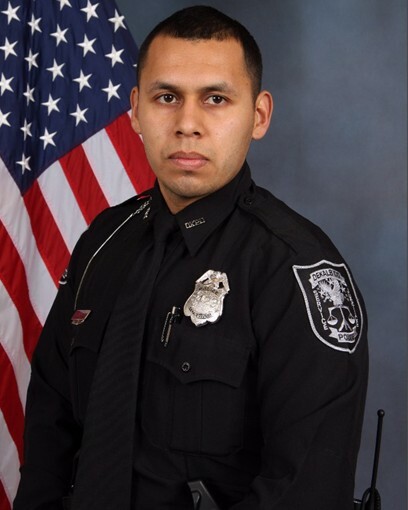 Police Officer Edgar Flores was shot and killed during a traffic stop on Candler Road, near I-20, at approximately 5:00 pm. During the course of the traffic stop, the suspect fled on foot with Officer Flores in pursuit. The man opened fire on Officer Flores, fatally wounding him, as he continued to flee. The man was later shot and killed after he shot a police canine that located him hiding behind a nearby business. The canine was critically wounded. Officer Edgar had served with the DeKalb County Police Department for 18 months.